We in the academy often speak of getting outside our disciplinary “silos” and collaborating with others. This is often easier said than done, and we have too few opportunities to interact with those from departments other than our own. The Office of the President, the Office of the Provost, and the Office of Research and Innovation are joining hands to create just such an opportunity. 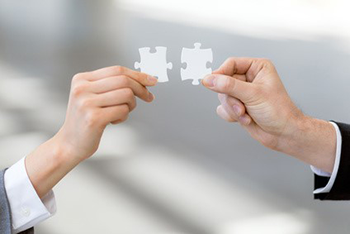 Research Matchmaking, is an inaugural event designed for scholars who are interested in meeting potential collaborators, and for those who are simply curious about the remarkable research and scholarship happening at UNT. Attendees should prepare a 2-minute “elevator speech” that briefly summarizes their work and interests. Please bring business cards to share. A $1,000 travel grant will be raffled off during the event to one lucky librarian or tenure-system faculty member, courtesy of the Office of the President and the Office of the Vice President for Research and Innovation. The winner must register for the event and be present at the time of the drawing. 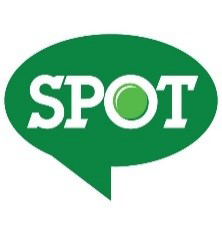 Student Perceptions of Teaching, SPOT, is the UNT evaluation system that allows students the ability to confidentially provide constructive feedback to their instructor and department to improve the quality of student experiences in the course. The evaluation system opens on April 16, 2018 and closes on May 3, 2018. The faculty portal can be located at https://unt.iasystem.org/faculty. The portal allows faculty to add their own questions to their course evaluations, pull past term reports, and preview surveys created by the department SPOT coordinator. Please encourage your students to participate. Instructions on adding the course evaluation link to your Blackboard page can also be found on the SPOT website under faculty resources. For more information, please visit the SPOT website, or email spot@unt.edu. 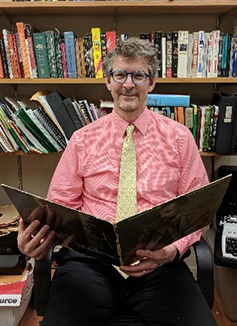 The April Teaching Excellence Spotlight awardee is John Murphy, Ph.D., professor and chair of the Division of Jazz Studies in the College of Music. Dr. Murphy teaches both majors and non-majors, and has actively taken on the challenge of designing high quality, engaging online courses in a subject that is most often taught face-to-face. He discusses his teaching experiences and practice, as well as primary challenges he encounters, such as using classes as an opportunity to focus and guiding students’ attention to the task at hand in an environment where there are near-constant distractions. You can view his interview here. You are invited to attend the 2018 University Forum on Teaching & Learning, UFTL, on April 17, 2018, 8–11 a.m. in the University Union at the University of North Texas. Breakfast will be served beginning at 8 a.m., followed by a keynote presentation from Krisstal Clayton, Ph.D., a dynamic, award-winning, and student-favorite professor and researcher at Western Kentucky University. Our theme this year is Teaching Counts! It’s How You Play the Game. 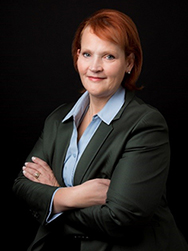 In her keynote address, Dr. Clayton will lead an interactive discussion on how to engage students and enhance learning through the power of gamification (Spoiler: There are many more options than just digital gaming!). Join us for this exciting and practical event and learn how to level up your classroom experience! This event is free to attend, but registration is required. Check-in and breakfast begin at 8 a.m. in the University Union, Room 314. If you plan to attend, please register now to ensure your place at breakfast. Recently, UNT’s Student Government Association collaborated with the Dean of Students and the Office of Equal Opportunity to create a statement on sexual assault that faculty member may wish to include on their syllabi. This and other possible syllabi language are included in Appendix 2 of the Teaching Excellence Handbook. Erin Friess, Associate Professor in the Department of Technical Communication, conducts empirical research in a number of areas, including how individuals communicate in the workplace and best practices in usability and user experience of websites and mobile apps. She is a leader in these areas, as her recent selection for the Rudolph J. Joenk Award for best paper in the Proceedings of the IEEE demonstrates. Professor Friess works hard to integrate her research with her teaching. Students in her TECM 4300 (Usability and User Experience) course carry out projects for clients such as the American Heart Association in which they determine how difficult company websites are to use. The skills developed in this and other courses Professor Friess teaches make students highly marketable; this is an especially important outcome in DFW, the third-largest labor market for those with degrees in technical communication. Professor Friess has another large project underway: organizing the program for IEEE International Professional Communication Conference set for July in Toronto. 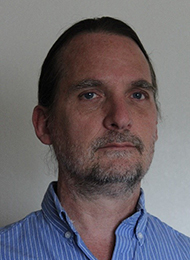 Jeff Rasch, Ph.D., is Instructor of Academic English as a Second Language in UNT’s Intensive English Language Institute. IELI serves a critical role on our campus by getting international students ready for undergraduate and graduate coursework in terms of their abilities to communicate in spoken and written academic English. IELI prepares international students to succeed at UNT. Graduation from IELI meets the English language proficiency requirement at UNT. The IELI academic English program is indeed intensive. IELI runs five eight-week sessions per year and offers six proficiency levels each term. Dr. Rasch teaches between 100 and 120 students each year. In addition, he is involved in the International Teaching Assistant Training Program, a 10-week program aimed at developing teaching skills and at ensuring the highest quality instruction for UNT students taught by these individuals. Prior to joining our faculty 10 years ago, Dr. Rasch completed his doctorate in linguistics. He is proud of the IELI team and their willingness to go above and beyond to help students and is glad to be part of a group that takes so seriously the preparation of our international students. 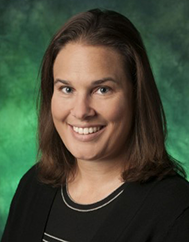 The Office for Faculty Success is pleased to welcome Diane Bruxvoort, UNT’s new dean of libraries. 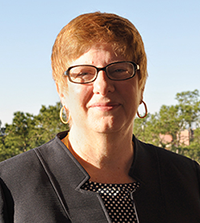 Dean Bruxvoort began her tenure on April 1, succeeding Cathy Hartman who served as interim dean. Welcome, Dean Bruxvoort! Congratulations to Laura Pasquini of the Department of Learning Technologies, winner of the March newsletter giveaway! This month’s drawing is for two tickets to the Department of Dance and Theatre’s production of the musical comedy Hands on a Hard Body on April 26. UNT faculty members who register by April 19, 2018 will be entered into this drawing. Please register here. So You Think Your Supervisor/Student/Colleague is Neurodivergent?